We live in a society where many different people are walking their own paths of adversity and also resilience. I come across many clients who have truly struggled in their lives and are searching for the guidance and coping skills to overcome their adversities. Individuals who are searching for these skills truly exhibit something most people strive for: resilience. A recent Medium article titled, “Resilience: How to Rescue Yourself from Adversity,” discussed this very topic that I talk daily about with my clients that are trying to overcome their personal struggles. In the article, author Gustavo Razzetti discusses the adversities faced by the twelve boys and their coach who were stuck in a cave in Thailand. It took an incredible amount of resilience for the coach, the boys, and the rescue team to all come together to survive such a traumatic event. So how did these twelve boys, their coach, and the rescue team practice resilience, and how can you practice it through your times of adversity? Below is a simple guide to ways to practice resilience. Embrace the challenges. Understand that times of adversity can create the strongest traits. If you never experience adversity, then you simply cannot practice resilience to the fullest. So when challenges come along, embrace them, as this could be time for some extreme personal growth. Mindset. 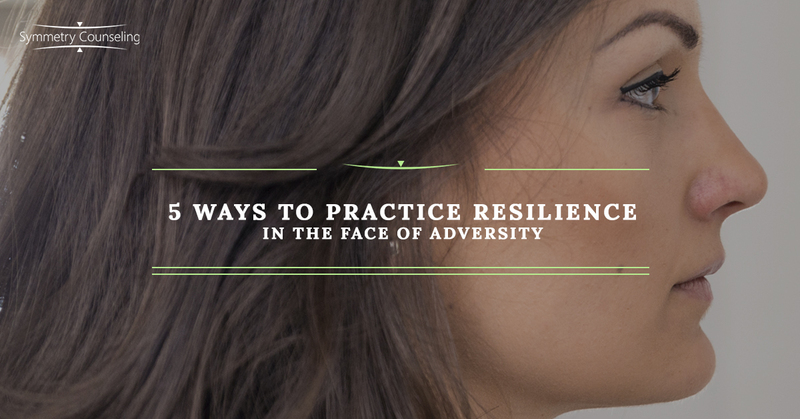 People who practice resilience are not genetically born with it. It is their mindset and how they deal with an adverse event that allows them to grow through a challenging part of their life. People tend to say life is 10% of what happens to you and 90% of how you react to it. It is less about the event itself, and more about how you cope with adversity and overcome it. Mindfulness. Be present in the here and now. While you may be struggling to be resilient in the face of one of the hardest times of your life, it is important to live in the current moment. It can help you refocus your thoughts on what you can do in the moment as opposed to thinking of what you could have done in the past. In challenging experiences, it is so very important to focus on today instead of yesterday. Self-control. It can be easy to fall into the trap of thinking, “Well, this event happened to me because I grew up in a less than ideal childhood.” While it is easy to blame others as to why you aren’t succeeding in something in your life, it is important to realize that while the environment you grew up in can have an influence on you, it does not define you. At the end of the day, the path that you make is your own and it is up to you. You’re in charge. Playing the “victim” role will certainly not get you very far in life. Yes, it is overwhelming to know life can present a variety of challenges that may not be ideal or fun. However, leaning on your own independence to control your own life is incredibly empowering for you and can help you achieve resilience in times of adversity. While this list provided a variety of ways to practice implementing resilience when faced with adversity, attempt to focus on the one(s) that you think will help you most overcome adversity in your life. If you too are currently struggling with adversity in your life, it may be a good idea to connect with one of our skilled counselors at Symmetry Counseling today. You can contact them at 312-578-9990 to set up an appointment.